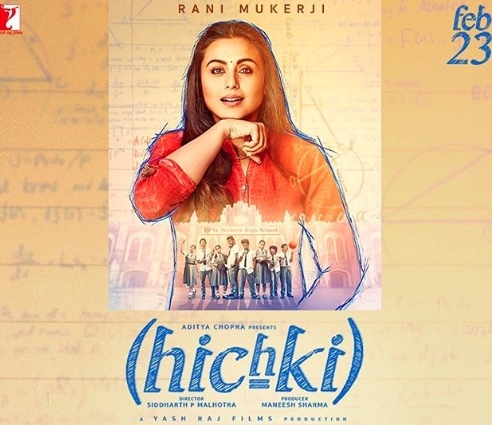 Director Siddharth P Malhotra has issued a statement categorically refuting Nishant Kaushik’s claims that he creatively contributed to the script of Hichki. Hichki is based on Brad Cohen’s book Front of the Class, which tells the story of a teacher with Tourette’s syndrome who inspires his students. The film stars Rani Mukerji and celebrates self-belief, resilience of human spirit and hope. The film is about turning disadvantages into opportunities and staring down at challenges and ultimately winning over them. The actress plays the role of Naina Mathur who has a nervous system disorder, Tourette Syndrome that forces an individual to make involuntary repetitive movements or sounds. Hichki is scheduled for release on February 23rd.